Adding one more piece of my pumpkin to the pumpkin bonanza! Hope everyone had a fabulous Halloween. It was mad in our house! I’m in a sugar induced coma right now from the amount of chocolate and lollies that’s been consumed over the past day. 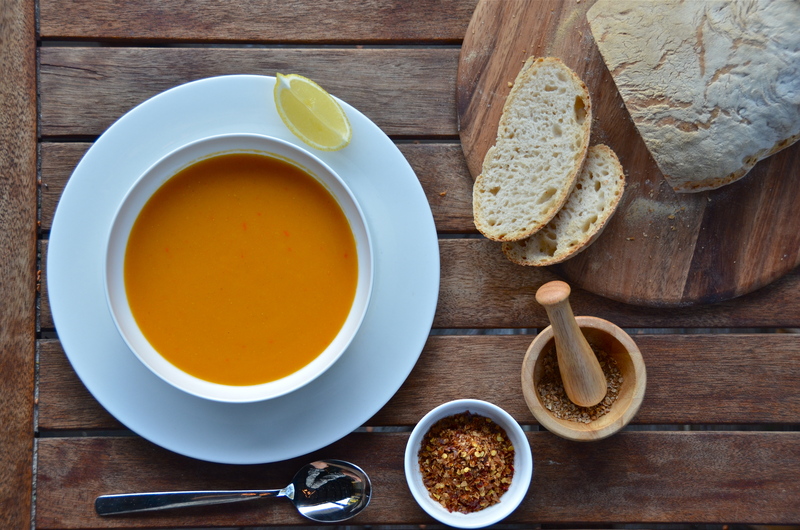 I made this soup a couple of days back and served it with my scrumptious high hydration sourdough bread, it was still hot – fresh out of the oven. 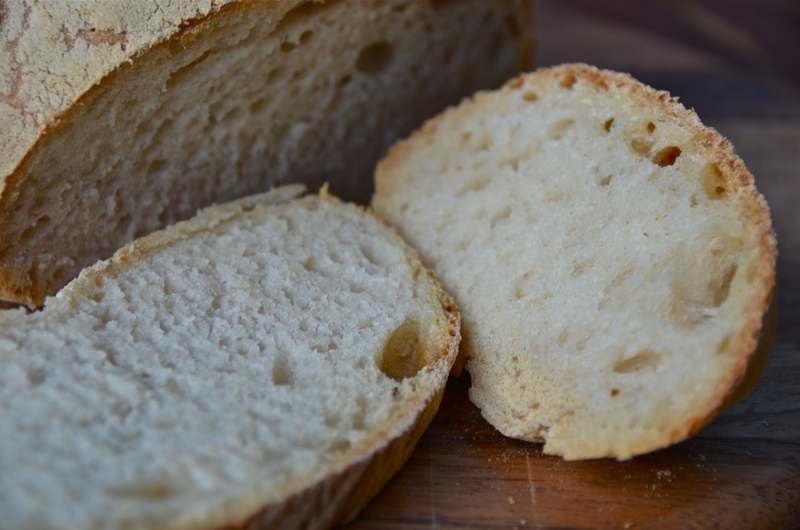 Will share a recipe and tips on making this bread in one of the future posts. Heat oil in a large saucepan, then add onion, garlic and red bell pepper. Sautee over a medium heat for a few minutes till fragrant. Add tomato paste, cook stirring for one minute, then add lentils and stir-fry for another minute. 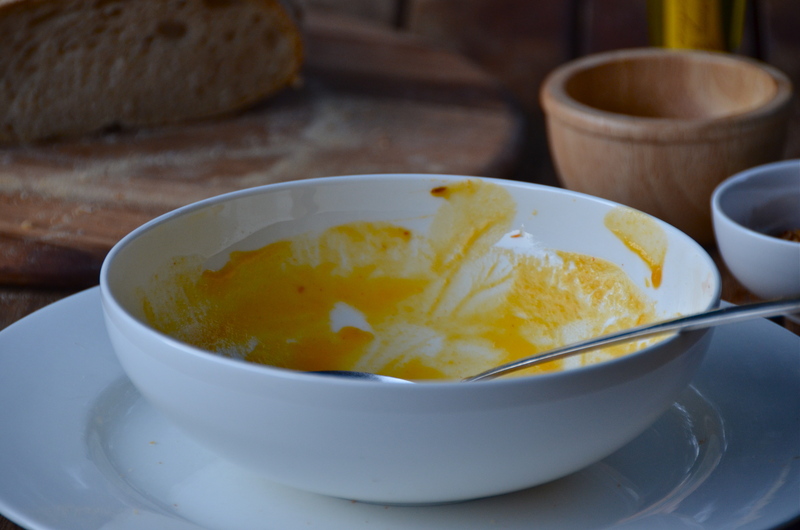 Add pumpkin, stir-fry for a minute or two, then add stock. Cook semi covered with a lid for 45 minutes to 1 hour. Blend till smooth in a food processor or using a hand blender. 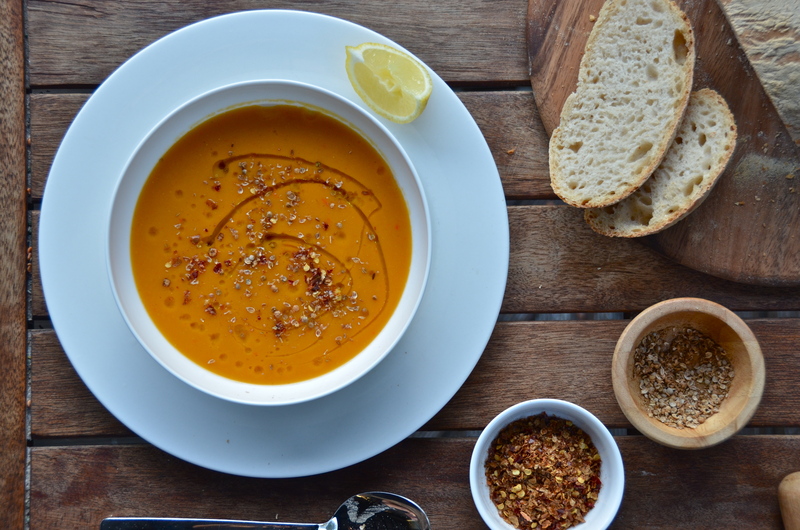 To make your soup more flavoursome add crushed coriander seeds, chilli flakes, drizzle with extra virgin olive oil and lemon juice. Beautiful pictures in this post! The recipe sounds good too.